Event planning is stressful, regardless of the circumstances. However, when the event in question is a corporate function, the stress can be intensified tenfold. A corporate marquee hire is a fantastic way to hold an outdoor event for many reasons, including the fact that you can have your function in almost any location. It also provides much more flexibility, enabling you to choose a marquee that precisely fits your needs as it comes to party size, so you don’t have to worry about limiting your guest list. All that remains once you’ve decided on a corporate marquee hire in Sydney is finding the right business to provide you with the equipment for the occasion. It’s important to pause for a moment to point out that you can find plenty of options, whether you’re seeking a simple marquee for functional use or you are indeed looking for an elegant and atmospheric marquee to help set the mood for your event. As already mentioned, one of the most significant factors in finding a marquee for a corporate event is ensuring that you find something to suit your guest list. Typically, a corporate marquee hire will need to use a larger marquee than would be used for a party or even most weddings. That means if you’re considering a collaboration with a rental company for your event, you should be sure to select one that caters to corporate functions. This also helps to ensure that you can obtain other items that you’ll need for your corporate structure marquee hires, such as the flooring and even furniture for the event. Typically, various styles of marquee are available, making it simple to find the one best suited to your event. Examples of marquees include large, open structures to those with transparent walls. When you work with a business that has a range of options, it’s easy to find precisely what you need to make your event the success that you want it to be. 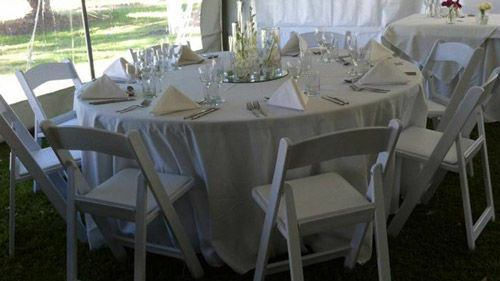 Among the many different things that should factor into finding a corporate marquee hire in Sydney is quality. While quality means finding a marquee and additional equipment that looks and feels great, there’s one thing that is even more important than that. You want to be sure that everything is safe so that you and your guests have nothing to worry about for the duration of the event. Working with a business that has a proven track record for a corporate structure marquee hire gives you the security that you need for a corporate event. At Outwest Party Hire, we provide a range of corporate marquees in many different sizes and styles. That makes it simple for those planning events for their businesses to find what they need. To learn more, just get in touch with us today, and we can even help you find the right option for your next occasion.